please visit the forum section and leave your thoughts... you can click HERE to get there.... thanks a lot. -abyf webmaster..
..... Farewell John Mr. Forgard has put many hours into our youth group since he has taken the postion as the youth leader several years ago. Now as God calls for him to a new task, and our paths will seperate. But this is not the last time we will see our brother in Christ. To John - With much respect, abyf youth would like to thank you for everything you have done for us. ..... Recent updates to the page: 40 New pictures were added to the Summer Days - Part II section. They start on the forth page. Pictures from the Engagement Party have been added. There are 30 pictures to that section. I also changed the banner on the main memories page. I realized how bad it looked and decided that it was in need of change. >>> I added one more wallpaper today. >>> NEW PAGE BRANCH!!! The secret thing I mentioned a while back on the forum board was this new thing. There is now a Destop/ Wallpaper section. You can customize your computer with ABYF wallpapers and show your ABYF spirit!!! There are currently 2 different wallpapers. They took me a long time to make. I did not just make them just like any other banner, I am trying to make them a little special. You can get there from this link for now, or it is located on the main menu unto "Home". There are also links at the bottome of EVERY page. I even went through the trouble and made them in all the common resolutions to fit anyones monitor. *** If you do not know which size your monitor resolution is then: Right click on the destop, go down to properties, then click on the tab that says settings, and there should be a bar and above it says Screen Area, and below tells your resolution. >>> New Section 2001 Summer Youth Camp is now online. Currently 2 pages with 30 pictures to that section. 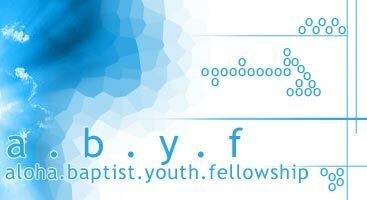 .....Be on the ABYF member page: If you want to be on the members page, the only requirements are that you have attended our church before, and that you fill out a info page. If you want the info page, email me at blankvision@mail.com and I will send it to you. .....Join our FANTASY basketball league: We are starting another league really soon. If you are interested, the league ID# is: 122408, and the password is :abyf. Only join if you have the intention of actually competing. You're planning a surprise birthday party for your mom. You invite you little sister to help you bake the cake. ....."First," he said, "carefully make a pencil line showing exactly where you want to cut. Then check your measurement again to make sure you marked it right. Measure twice, cut once." .....He continued, "Make sure the piece of wood you are cutting is on a smooth, steady surface. If it isn't, the wood could shift and throw you off the mark. Then, holding the piece of wood as securely as possible with your knee or hand or both, begin slowly to saw. Start the cut so you have a guide rut for the saw. ....."And above all, keep your hand away from the saw!" As he said this, he held up his hand; two fingers were half as long as the others, fingers that had been cut off at the knuckle. My friend said his eyes must have widened as he absorbed the message of his grandfather's experience. .....One of the reasons God gave us parents, grandparents, and guardians is that he wants us to learn from their experience. It may be hard to believe, but your parents used to be kids-a million years ago! They've done a lot of stuff, and they've even made mistakes. Not all their mistakes cost them a finger or two, but they have made your parents a little smarter and wiser than they once were. .....That's why God commands us to honor our parents or guardians. He knows that their experience has taught them a few things, and he wants us to learn from them, without losing any digits or limbs! But there's another reason God wants us to honor our parents. Like all his commandments, his commandment to honor our parents reveals something about his nature. The fifth commandment reveals that he is a God who values respect. .....Respect is important to God because it's a part of who he is. It's also important to him because a healthy respect for our parents (and grandparents) can provide for us and protect us, just like the grandfather's bad experience with a saw helped his grandson reach adulthood with all of his fingers intact! REFLECT: Think back on the instructions and correction a parent has given you in the past couple of days. Have you honored him or her by taking those instructions to heart? How can you honor your parent or parents better in the future? ACT: Wear a string or draw a tine around the middle of one of your fingers today to remind you of the value of honoring your parents or guardians and learning from them. 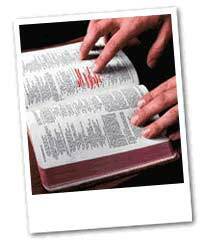 PRAY: "God, you know its hard for me to honor my parents when ___________. Help me to remember that they've had experiences I haven't had. And help me to show that I want to honor them by __________." .....Do you have any prayer requests that you would like for other people to pray for you about?? If so, you can post your prayer requests on the forum board. CLICK HERE to post your prayer requests. It can be anything that you are going through. The best way to get through your problems are getting other people's help. So take advantage of this opportunity to get other people to pray for you, because they do care. Please post prayers about yourself only. I know that sometimes your friend will ask you to pray for them, but do that secretly, because you don't know if the person wants everyone to know about their problems. If they do, then they can post their prayer request personally. Another thing, please post your name so people will know how to pray for. All prayer requests posted will also be added to this main page. So that you dont have to go all the way to the forum board to see what kind of help people need, and it will be eaiser for people to notice the prayer requests. .....Thanks to God for giving us a devoted and commited, godly person like John to lead us for the last few years. and also, thanks to god for giving us Henry, who will help us grow as well.. abyf is truly blessed. .....I'm looking for work! I appreciate your prayers. Pray that I can find a job that will pay rent and school bills and still let me serve you all at church. .....A lot of people do not understand what this is, so I wanted to add this little section so people can understand what the forum board is about. I added a forum board, so you can interact with the page in a way. This is so that I can get feedback from you, and know what you are thinking. I really do care about what you have to say, and consider your suggestions. I will almost always reply to your post, if I feel I need to say something back. Feel free to say anything you want, just keep it appropiate. There is a prayer request section, and I think you know what to do with that. ..... How it works, you do not need a user name to leave a message, when it asks you for a username and pass, just enter the user name you want to be reconized as, and leave the password blank. After you finish typing your message, scroll down and click on "ADD REPLY" or "ADD TOPIC," depending on whether you're replying to someone's message, or starting your own new one.